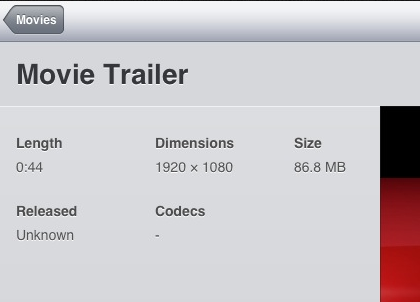 Apple is bringing Full HD 1080p (1920×1080) playback to iOS devices with iOS 5 this fall, reports 9to5Mac. Previously, iTunes wouldn’t allow syncing of 1080p video files but with the current developer version, it does allow 1080p video syncing. This feature will be available to the masses this fall when iOS 5 releases to the general public. Now, according to 9to5Mac, the playback is “very smooth” and “looks great”. We are unsure at the moment if the iPod touch and (original) iPad will get this feature, since they have limited RAM (both devices pack only 256MB) which might pose problems in smooth playback. But fret not, iPod touch and (original) iPad owners. If you intend use this feature to watch 1080p on the iOS device itself, you aren’t going to notice the higher-resolution. Reason being that iPhone, iPod touch pack 960×640 displays while the iPad packs a 1024×768 display. So, when a 1080p video is played on any current iOS device, you won’t be able to see any difference between it and a (1280×720) 720p video. So what’s the point, then? AirPlay! 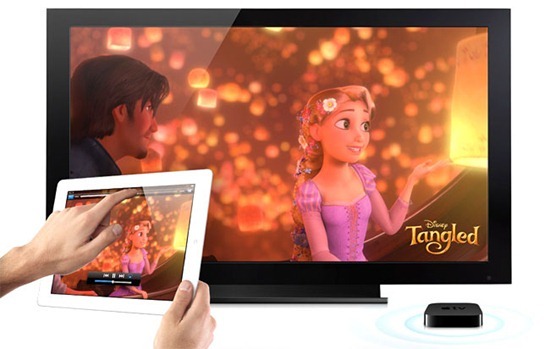 Although Apple TV doesn’t currently support 1080p video playback, it just might support it with a software update so you can wirelessly play any 1080p video from iPad to the Apple TV. Not only that, this might be an indicator of higher resolution iPad displays to come. You do remember all the talk about a Retina Display coming to iPad 2 before it was officially announced, right? Well, if a 2048×1536 display comes to iPad 3, it will look absolutely stunning.